Before you look at a single house, commit to acting decisively and confidently. If you get overwhelmed by the house-hunting process, you may feel unable to make a decision without second-guessing yourself. Promise that when you find a house that suits your needs and desires you will make your move. 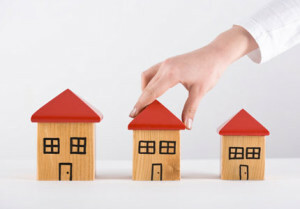 Carefully consider the pros and cons of each potential residence. But don’t let a dream home slip away because of indecisiveness and hesitation. What do I love about my current house? Consider the specific characteristics of your house that make it feel like home to you. Is it the house’s location within a vibrant neighborhood? Is it the quiet backyard or the sun-filled kitchen? Rather than starting over completely, hold on to the characteristics and spaces that generated happiness in your original home. The pros at Local Records Office, which provides neighborhood insight for homeowners, advise hunters to list all of the features that are vital to a new dwelling. Consider lot size, yard dimensions, type of housing and the number of bedrooms and bathrooms. These basic considerations will allow you to limit and refine your list of potential homes in order to search more efficiently. What do the locals have to say? Introduce yourself to the individuals you encounter in the local community. Seek out your future neighbors and get their take on the area and the home itself. Be sure to ask if there’s anything about the block or house that seller may withhold. These individuals will likely offer you an honest opinion without trying to influence your decision. How does the neighborhood feel at night? Don’t visit your potential home only on bright and sunny afternoons. Encounter the area by moonlight as well as daylight. Do you feel safe walking around the block? What are the sight s and sounds? Are weekends different from weekdays? Take as much time as possible to develop a complete picture of the surrounding area. Who is influencing my decision? You may be receiving extensive insight from a home seller. You may allow friends to talk you out of certain houses based on their own perspective. Look past the surface details, and decide whether a house is truly fit to be your home. Don’t allow outside opinions to cloud your instinct and your rational judgment. Many homes become blank canvases when they are free of furnishings and outdated décor. Keep in mind that you will be the inhabitant of your new space, and choose the home that satisfies your own ideals. What are my lifestyle needs? If your schedule will prohibit regular maintenance, you may want to avoid houses with multiple stories or extensively landscaped backyards. If you rely on time spent in nature to clear your mind, avoid houses positioned far from natural landscapes. A new home may be beautiful and comfortable but far from the amenities that enrich your life on a daily basis. Home information pros at the Local Records Office advice hunters to consider which house elements are compatible with their everyday lifestyles. Choose a house that will meet your goals for the future as well as your needs and desires for day-today living.